We offer a complete range of Filter Fabric, manufactured in technically advanced sophisticated plant having latest machinery, in accordance with international standards. 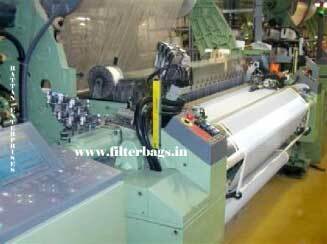 We manufacture various types of Filter Fabrics, by using best quality yarns. Our Filter Fabrics are the food grade fabrics that are used in Food Industry. Made in compliance with the US FDA standards, these Filter Fabrics are vital for industries, manufacturing drugs, pharmaceuticals and food products. Antistatic and food grade Filter Fabric is designed to eliminate danger from static charge in the most explosive conditions. Made in sync with the international quality standards, these Filter Fabrics are available in Monofilament. We also offer these Filter Fabrics in multifilament and spun combinations, along with the anti-static component. We offer Filter Fabrics for modern filtration equipment and these ensure perfect dimensional stability even under severe operational conditions. The ready-made ups are known as Laser Cut, ensuring precise fit and consistency in each and every piece. These Filter Fabrics are best suitable for Centrifuges, Fluid Bed Dryers, PAN, Nutsche, and Leaf Filters. Also, as per the requirements of the clients, we provide these Filter Fabrics for Disc, Drum, and RVDF etc.